In the early 70s I spent two years trying to cover the war in Vietnam, returned to a country whose political system was warped by the Watergate break-ins and subsequent investigations, and ultimately, the resignation of a President. I spent years following Presidential candidates on the stump, at their conventions, and ultimately campaigning for votes. I covered the Summer Olympic Games from 1984 onwards. L.A. Seoul. Barcelona. Atlanta. Sydney. Athens. Beijing. And at each one I was able to make a picture or two which came to have some significance for a magazine audience. For all those decades, the 70s, 80s, 90s, and into the 00s, there was still a presence that printed magazines had something which gave their mere existence a certain gravitas, even if you were only to glance through an issue four months out of date at your dentist’s, you would undoubtedly find something of value and worth your time. In the last decade, magazines have struggled, and in some kind of blind rush to the internet, companies now feel obliged to spend their marketing resources there, though no one really even knows what that means. They spend and spend and spend, and in doing so, DON’T spend on the magazines that for years were the main showcases of printed marketability and advertising. Very few are actually finding success online, still a ‘work in progress’ as they say. Meanwhile, the tenor of still photography has changed as well. No longer do I have non-stop phone calls from news magazine editors, competing for my time to send me hither or yon, or sometimes both. The calls come but it’s a very different world. We are too many photographers, already living in too many places, facing a combination of oversaturation-of-market, and a lack of value for what we do when compared to the way the products of photojournalism were regarded even a decade ago. Giant earthmoving/tree-cutting companies like Getty Images have redefined downwards the value of our work, selling cheaply in order to be able to be everywhere and gain (are you ready for that great word?) “marketshare.” They are an example of a photo-related enterprise which ultimately does what it perceives (and I’m not even sure that their perceptions are correct) is good for the company, while at the same time negatively effecting individual photographers. Sadly, news photographs have come to regarded as a commodity in the same way that apples and potatoes are. Pretty much something that has a per pound or per picture price structure, no matter what the subject, quality, or exclusivity. wedding at St. Paul’s. So many things have changed. At the time, Contact Press Images, then a small New York based agency, did a deal through our London agent (Colorific) with, among others, the London Sunday Times Magazine, to add our team of a half dozen foreign based photogs to the LSTM 40 page coverage. We flew from New York, stayed in reasonably priced hotels (though I did have to change from bunking with my friend, the late Gerry Davis, after one night of hearing his championship buzz saw cut lumber for 7 hours), were taken in by the Magazine as partners in the process, and, additionally had a number of commitments from Germany, France and Italy, as well as the U.S. for our material. It remained a time when a group of photographers of a certain reputation could still demand top dollar for something which everyone regarded as a ‘big deal’ story. Fast forward thirty years (which becomes increasingly disconcerting when you have been shooting for 45 years, and everything in your past seems like it was three weeks ago, or, perhaps a month ago. ) The current excitement about the first real Royal wedding in a generation had lit up not only the English but people everywhere. And it was so interesting to see how we, the reporting world, have changed in those thirty years. 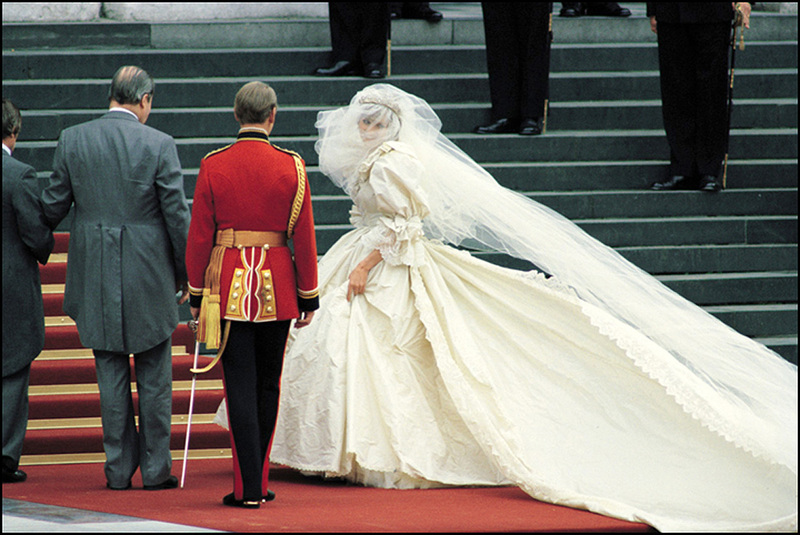 First, and perhaps most important to remember: at Charles and Diana’s wedding, CNN and Cable news had not yet been invented. “The News” on tv still meant being reported in a nightly 30 minute network broadcast. Magazines were still plentiful and thick with pages and advertising. 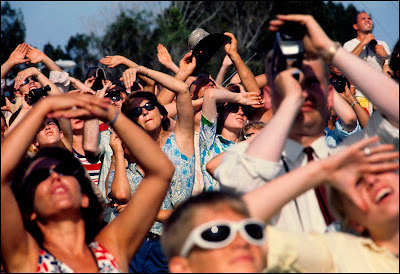 Newspapers and mags remained the primary source of presenting photographs of that which was happening in our world. For the most part (my opinion) cable TV has taken all the weak elements of broadcasting and multiplied them, with virtually no emphasis on the positive. (to wit: instead of getting wonderful, deeply layered many minute pieces on a steady basis, we get headline after headline and a lot of reporters with microphones feeling obliged to stand outside in a rainstorm and be pelted in the face with hail just to report a weather story. It’s been sad to see how funding for great magazine reportages was siphoned off to support, first, television, then the web. Along the way there are plenty of excuses why clients don’t feel they can pay you for your pictures (“…the web isn’t profitable yet…”) while, at the same time, they absorb much of the resources which formerly were allocated to magazine production. This past year, since the announcement of the Wedding, I admit I was attracted to it once again. Maybe it was that I saw Diana walk up the steps of St. Paul’s in her last moments as an unmarried woman, and years later walked through Hyde Park crowds who’d gathered for her funeral. As you age, things in your past take on greater meaning. Maybe it was just a desire to see how a big wedding might take place in this electronic era. I was lucky enough to convince a magazine client that I wanted to come, and they obliged. It has been at least ten years since I was in England, and of course the things that don’t change (the stately buildings, the red buses, Lord Nelson’s statue) are always there to anchor your memories. The food is a little better, the beer still without peer, and the prices would probably make sense if they were dollars, instead of pounds. It was another of those confounding “how do people afford to live?” trips. But perhaps if you are thirty and don’t know what it was like ‘before’ you just carry on as if this is the way life is supposed to unfold. A large photo platform was set up across from Westminster Abbey. Three rows of slightly elevated positions, for once each position wide enough that you didn’t have to breath down each other’s necks. It may not have been the best position but it wasn’t terrible, and the one thing that you learn is that the place you think might be the best could turn into a disaster, and the most unobvious location can sometimes produce the best picture of all. Thankfully there is still a little of the unknown left in our work, in our business. Things can be so predictable that the possibility of gambling or taking a chance on your instincts becomes a rarity. As my pal Wally McNamee once explained with great simplicity, our work is essentially about “anticipating.” What might happen, what might not happen. But you always have to be ready. This kind of thing was of course taken to the limits in all discussions of “the kiss.” In 1981, as the Royal family assembled on the balcony at Buckingham Palace, dozens of photographers at the QVM (Queen Victoria Memorial but please, ONLY refer to it as the KewveeEmm) were waiting for that shot of the family “en famille,” and if there might be a “kiss.” At one point Charles and Diana made a fleeting move to each other, their lips touched, and it was a moment which marked whether you were to pass or fail class. Douglas Kirkland, the great L.A. based photographer, shooting with our team absolutely nailed it with his long lens. Surprisingly , a number of well known photographers missed it altogether. Though I did hear a story yesterday that a guy whose job was in jeopardy saved himself by getting that kiss picture. This time around, it wasn’t so much anticipation, as of just knowing it WOULD happen, and not missing it. Most of the British papers led with some version of the “Kiss” today, but I’m sure there were, even in the “I have 11 rolls of film in my camera….” era, a few people who just somehow missed the moment. My heart goes out to them as I know they’re having a really lousy weekend. At the Abbey entrance, I was lucky enough to have next to me a sharp English woman shooter, probably about thirty, working for a small British agency who knew well her subjects. She was sporting a 600 on an ancient tripod (one of colleagues poked fun, asking it was the tripod she’d had in school.) But each time a limo would approach I’d take a guess at who it might be, and I suppose I was about a C+ guesser (I got David Cameron right, but didn’t know Eugenie.) She was always obliging in correcting me as to who the real occupants were. The funniest moment was the arrival of a lone Bentley saloon with two guys in it … “who’s that?” I asked. It was all she could do to stop laughing: “Oh, Will and Harry?” Hey, you can’t winnem all. 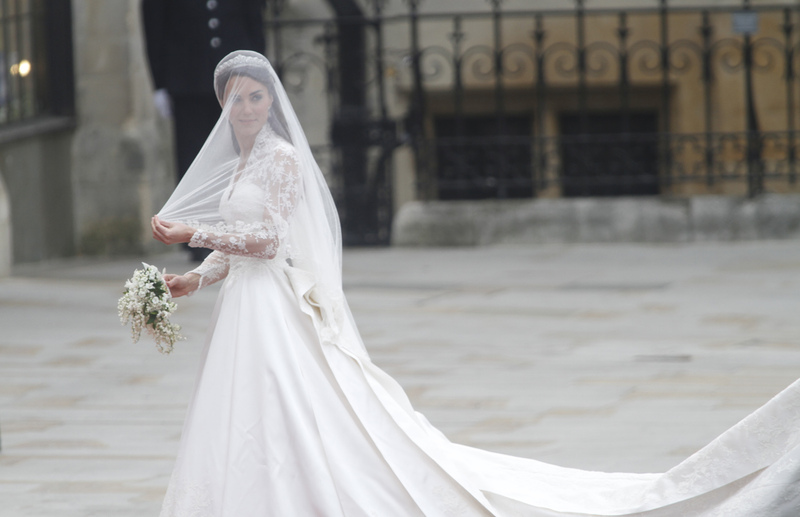 There was a magic moment when Kate stepped from her car, in that amazingly wrapped white gown, the veil seeming to be like a light cloud over her face. All the hype about the gown, I have to say, was justified. She was a true vision of beauty as she walked in with her father. The one fault of Westminster Abbey is that it’s all built on ground level. No stairs leading to the gate, so you didn’t have that beautiful oblique chain of white. As one of the photogs started grousing about being blocked by trees with his 800mm of seeing the side guest entrance, the young woman at my side responded with wisdom far beyond her years. “You can only shoot what’s in front of you --- don’t worry about what you can’t see.” So right. Concentrate on that which you CAN control, that which you CAN see. The half hour chorus of bells peeling at the beginning of the arrivals was like a call to mission. Had there been no crushingly loud musicality to accompany us, it might have been a mere moment of transition. But you felt those bells were pushing you to look in every direction, find every snap within range. Once all the principals were inside, the bells stopped and it was like an order to stand down and take a breath. This morning on BBC in one of the dozens of interviews they have done, a newspaper editor mentioned they had looked at some 25000 pictures since yesterday morning. How do you not feel you are swamped by the weight of it? How does one keep a clear head in the onslaught of so many pictures competing for that ever evaporating attention of a viewer. I’m not sure I know the answer. It remains a difficult task for the good pictures to be able to rise to the top. Every now and then there will be “the picture” though in a quick perusal of Yahoo & AOL News sites I don’t think I’ve seen it yet. I’d like to think I might have seen one yesterday on my Macbook, but again, I’m just not sure. Going forward, there will continue to be a few big events like this, but they will no doubt morph more and more into becoming television productions. When the tv producers are the ones who make the calls about how things should go, it might be time for us photographers to just pack our bags and go do something a little more real. How Do You Pronounce "Cholent"
“I'd never heard of this specific dish, being Gentile and all, before Dave's (Facebook) Post, but am likely to try it. Some questions, Iris, since your husband likes mush, but at what stages are the potato root vegetables, greens, beans, onions added to the pot of long simmering meat?" Dubroff Cholent (There are other kinds but we are purists - meat, potato, onions, matzo meal stuffing). Take 45 pounds of good beef chuck, carefully examined at the butcher or the supermarket. 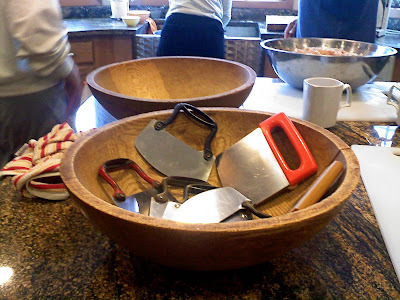 Bring it home, cut it into chunks, and layer it in a pot the size of Miami with quartered potatoes and a big ball of stuffing made of matzo meal, eggs and schmaltz (chicken fat). If you use 5lbs of meat the pot can be smaller but use the same seasoning and technique. The meat should be seasoned for taste with sliced onions, potatoes, salt, pepper, steak seasoning, and paprika - which has no taste but adds color. The stuffing recipe will follow. Layer the meat, potatoes, onions. I can't tell you how many layers, it depends on if you use 5 lbs or 45 lbs of meat. But keep layering till you’re out of things to put in the pot. Cook the meat and potato in a 200 degree oven for at least 17 hours. 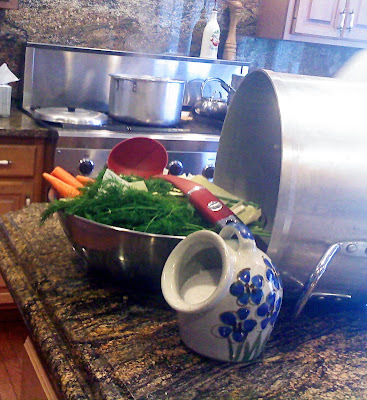 If you need two pots the size of Miami and you don't own a catering business, one of the pots can be placed on the stove top and after 12 hours, and 30 or more discussions, can be switched with the help of two weight lifters and a supervisor. Melt four sticks of margarine or an equal amount of chicken fat, throw in 2 nice chopped onions. When they glaze add matzo meal and maybe a little cake meal. Pour into a bowl and make sure it has taste - not easy with that much 'meal' Measure 2 cups at a time stirring constantly – and before it gets too thick mix in an egg. It's a lot of work to get that much chicken fat unless you buy it at a kosher grocery where they sell lots of fat chickens. Salt and pepper to taste. Mix in as much matzo meal as it takes to form a baseball-sized ball. Then freeze it until you are ready to layer the meat, onions, potato, (see above) meat, onions, potato. No matter the number of layers, the stuffing is the top and last layer. If you want to drop by, you are too late for the gefilte fish, the horse radish, the chicken soup, chickens, and matzo balls, but we will be layering tomorrow night. Or, just order a cookbook from our website www.gefiltefishchronicles.com. Now I’m mad. My mother would have said “only dogs get mad”, but I’m as mad as a rabid dog. Which yahoo in Congress doesn’t get that unless we stop having wars, we will never balance the budget. What in the world are all our “elected” officials thinking? Yes, let’s cut programs for the elderly, the sick, the children, the poor. the helpless, and the homeless. But lets worry about those poor civilians on whom we have made, intentional or unintentional war. The Republicans say Obama is not a leader. The Democrats say he is leading us in the wrong direction –all of this is a case for electing someone who can make a reasonable and thoughtful decision about the kind of President we want. It’s unfortunately a case for Donald Trump. Maybe it’s the worse case scenario, but someone forgot to tell the President that Democrats are diplomacy people – we don’t like war. Never did, never will – especially one where we have no idea what exactly we are fighting for, and why we are doing it. But that’s not what I wanted to blob about. There seems to be a sale on funerals for mothers. My mom dies in July, and since then I have at least ten friends who have lost their moms. It’s true they were all in their late 80’s or 90’s but everyone at once. There has to be something in the air. And those friends whose mom’s are still here, are likely to lose them in the next few months. I have been to more memorial services and ‘shiva’s’ than I care to discuss—but I will. As I said, most of the mothers were in their late 80’s or 90’s. Some were ill, some were lucid, some were disoriented, some were well—but tired, some just felt it was time to go and some just went to sleep. However they went, they are sadly, gone. They pretty much had wonderful lives, at least this is true for the people I know. Again, they lived out their lives in different ways, some with family, some in assisted/independent living/ some on their own. A few of the moms had determined never to leave their homes. Kind of like when you hear a hurricane is coming and decide that there’s no where else they wanted to be. My mom had an apartment in a retirement home right near my brother. Steve’s mom was still living alone. And I could give you examples of way too many moms who made decisions about how they wanted to live, and more importantly, how they wanted to die. And now, the baby boomers have become, among so many other firsts, a generation of orphans. I guess this doesn’t make me as mad as makes me sad, but there are those things about which I needn’t be first.